Mechanicsburg – Williams Grove Speedway will host Insinger Fuels Night coming up this Friday night, August 12 at 8 pm. The URC Sprints will join the Lawrence Chevrolet 410 sprints on the exciting open wheel sprint car card. So far this season, no driver has been able to beat Greg Hodnett in URC 360 c.i. sprint competition at the track in the circuits three oval appearances to date. Both sprint car features on Friday will go 25 laps in distance with the 410s racing for $3,800 to win and $2,000 posted to claim laurels in the URC main. 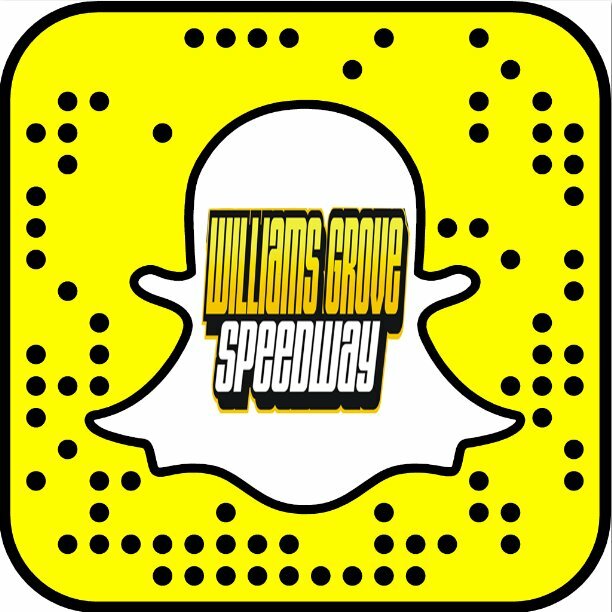 Courtesy of the official Sunoco Fuel Supplier of Williams Grove Speedway, Insinger Fuels will award the feature winners an entire drum of racing alcohol. In addition, to honor the one-year anniversary of the loss of sprint car driver Jim Campbell at the speedway this Friday, brother Sean Campbell has posted some special bonus money for all the sprint competitors on Friday night. For the 410 sprint drivers, a random draw of feature finishers 2 – 24 will reward that driver with $500 while a $300 hard charger will also be awarded with another $100 each going to the first two non-qualifiers. For the URC sprint drivers, a $200 bonus will be awarded to the final two cars who complete the URC main while a $200 hard charger will be awarded as well. Sean Campbell will have commemorative decals to honor his brother available at the track on Friday. In order for drivers to be eligible for the Campbell commemorative bonuses they must have the special decals on their race cars. Adult general admission is just $16 for the racing program with youth ages 13 – 20 priced at $10. 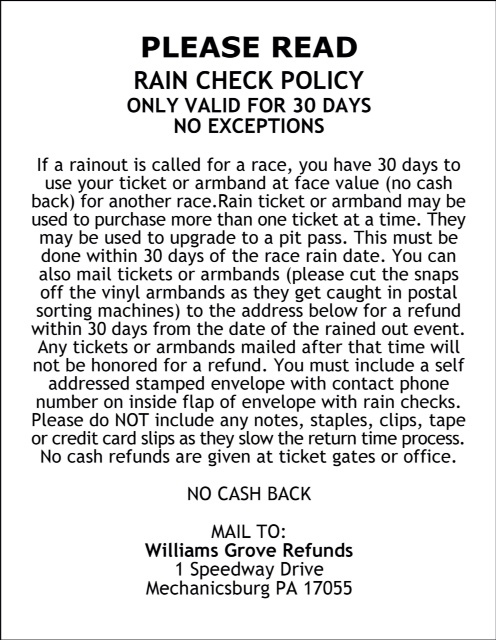 The Williams Grove portion of the weekly 50/50 drawing will be donated to Always’s Racing Ministry this week. After much success recently at the track, the Central PA Bloodbank will host another blood driver on Friday at Williams Grove Speedway. Coming up at Williams Grove speedway on August 19 will be the one and only appearance of the season at the track by the All Star Circuit of Champions Sprints as they race in the Jack Gunn Memorial. The Gunn Memorial will be another leg of the 2016 Diamond Series at the track for the 410 sprints. The IMCA/PASS 305 sprints are also on the agenda.